Deliver personalized post-click landing page experiences for every audience. Deliver one-to-one personalization to maximize conversions. 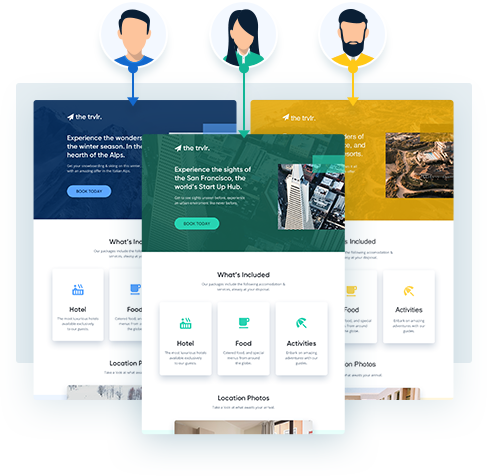 Offer personalized post-click experiences dynamically for each audience segment that visits your landing page. No more generic one-size-fits-all treatment. Create, personalize, and optimize post-click experiences as quickly as you do ads. With the Instapage builder create any number of dynamic experiences for a single landing page. 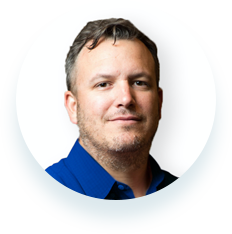 Create an unlimited number of variations for each experience and test performance to maximize conversions. Set up a landing page to dynamically deliver the right experience to the right audience in real-time. 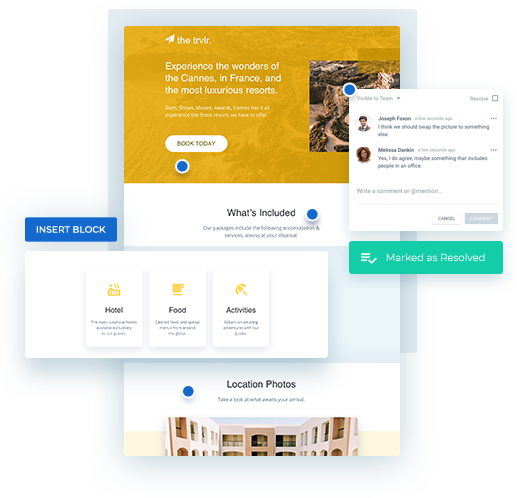 Use Instablocks™, Global Blocks, and Collaboration, to create and manage post-click experiences at scale. Set up a page once and add an unlimited number of audience experiences to the page. 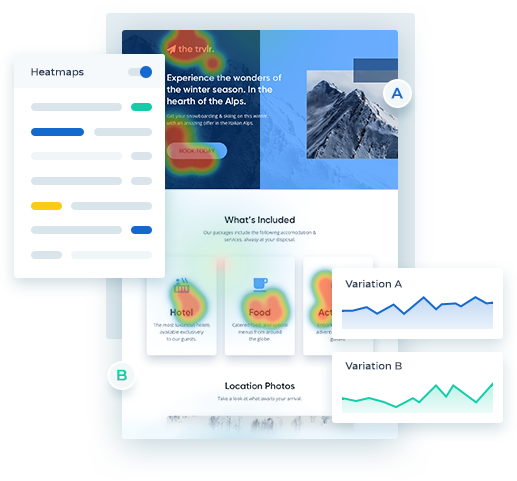 With Heatmaps, you can understand how audiences interact with their experience. Then use reliable server-side A/B testing for each audience experience to optimize conversions. 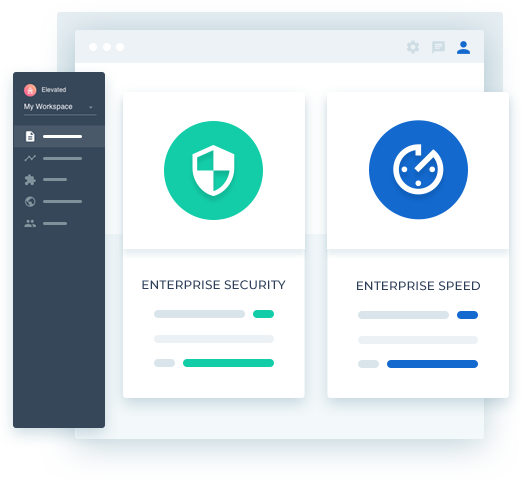 Built for power advertisers and marketers, Instapage meets the legal, compliance, and performance requirements of even the most heavily regulated industries. Leverage our world-class conversion optimization services team for landing page creation, migration, optimization, custom integrations, custom coding, and more—we’ll help you maximize your ROI. 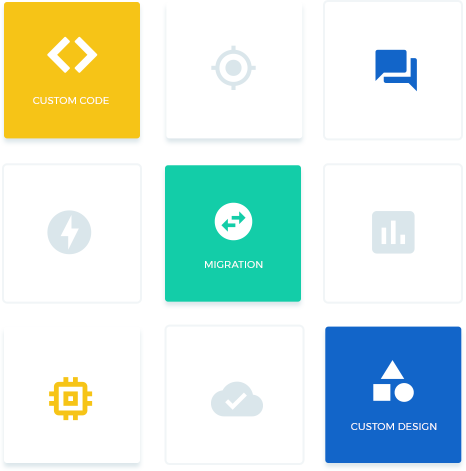 Build landing page experiences at scale quickly with reusable page blocks. Make instant updates to thousands of landing pages and experiences. Optimize conversions by analyzing visitor actions and split testing. Increase mobile conversion rates with the industry's only AMP builder. Speed up design reviews with your clients and internal teams. Increase ROI with drop-in pixel tracking and dynamic keyword matching.
" Instapage has truly maximized our digital advertising performance by enabling us to offer matching, personalized post-click experiences for every ad and audience. Now we can scale the post-click campaigns as efficiently and effectively as we scale the ads themselves. "